Intel Ivy Bridge launch schedule leaked? 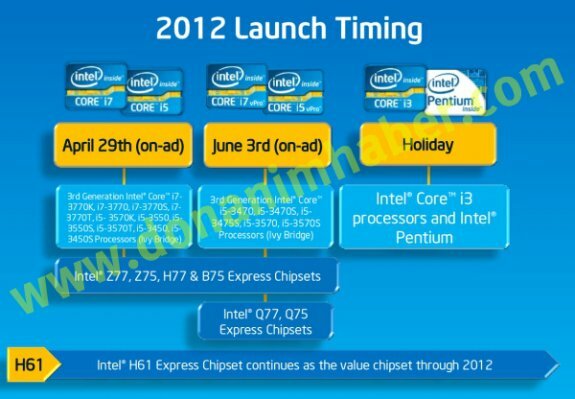 Turkish tech site Donanim Haber got its hands on a slide that reveals the launch dates of Intel's Ivy Bridge lineup. If the information is correct, the first wave of Core i7 and Core i5 CPUs will arrive on April 29th, along with the Z77, Z75, H77 and B75 chipsets. More Core i7 and i5 chips plus the Q77 and Q75 are expected on June 3rd, but the Core i3 and Pentium branded processors aren't planned until the end of the year.